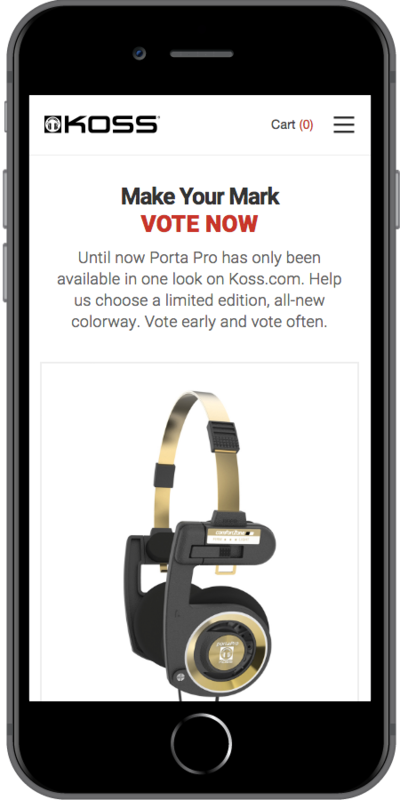 Koss hadn’t changed the design of their Porta Pro headphones for thirty-two years-until they decided to offer their devoted fans a chance to vote for a new Porta Pro color design. Koss wanted to create excitement for their Porta Pro Limited Editions headphones: they approached us with the request to create a campaign, and we were eager to help. Koss wanted this campaign to engage their current customers in a new way and attract new shoppers. We started with creating, scheduling, and identifying channels to communicate to Koss’ followers. 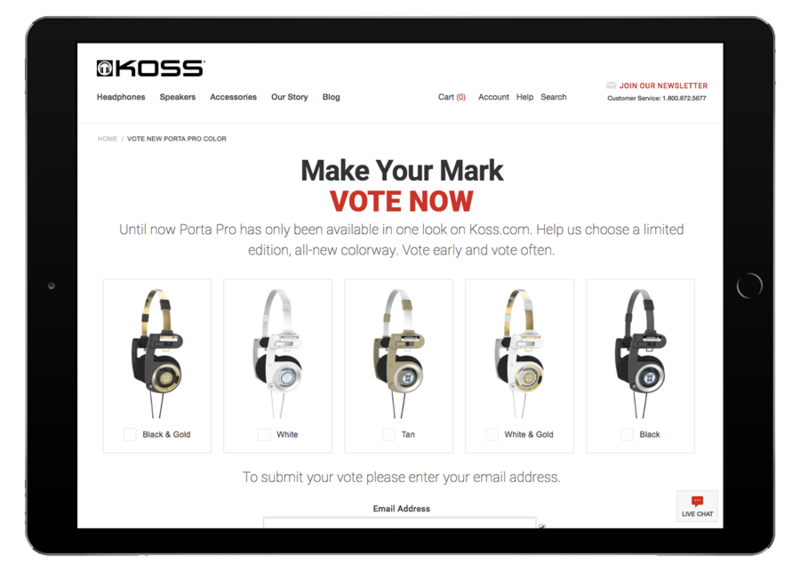 We designed and developed the poll where Koss customers could vote for their favorite designs and watch the progress of the campaign on a leader board. 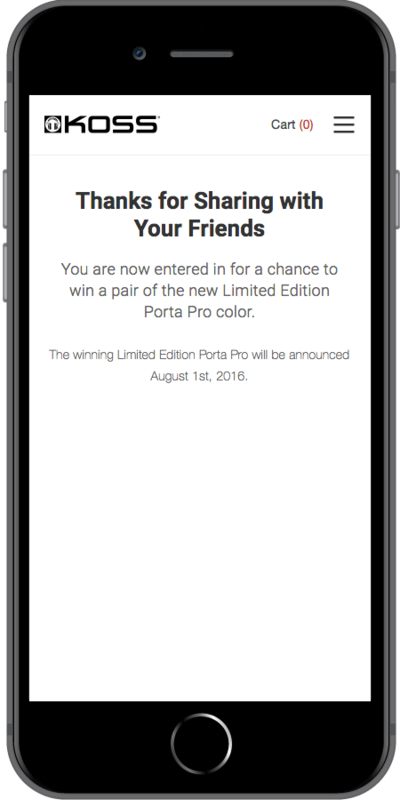 We also included a “refer a friend” feature so that voters could send the campaign to their friends once they had cast their own votes. The end result was a success: Koss chose not one, but two designs after excited fans cast their votes. 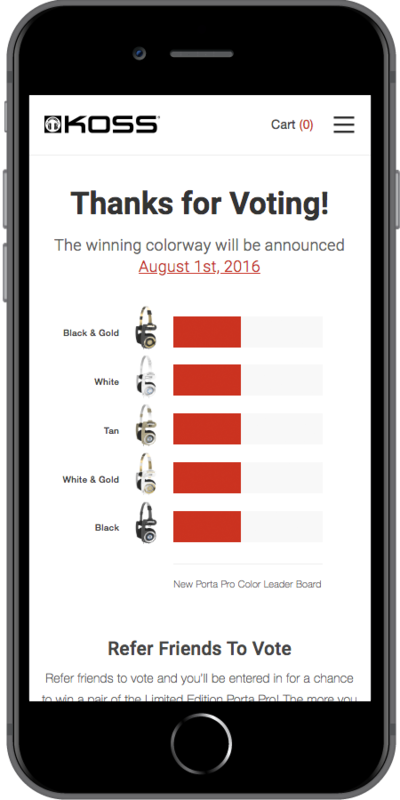 Once a winner had been chosen, we released a new email campaign that allowed shoppers to sign up on a wait-list. 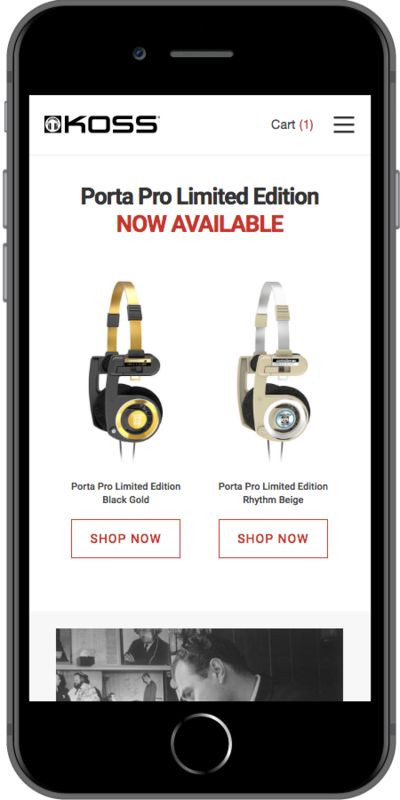 In addition to giving shoppers early access to the Porta Pro Limited Edition headphones, the wait-list also allowed Koss to determine how many orders they would need to fulfill.